Nick Ingman - Distinctive Themes / Race To Achievement (The KPM Reissues). Vinyl LP. Bleep. Released in 1976, Distinctive Themes / Race To Achievement is legendary arranger Nick Ingman exploring the two distinct ideas of “impressive themes varying in style from ‘Basie to Elgar’” and “a study in the pressure and rewards of achievement”. Distinctive Themes is a veritable indulgence of variously-tempoed, full orchestra, big band workouts, from relaxed swing to more propulsive themes. The progressively building “Expanding Markets” is a true highlight, with its rolling pianos, contemplative electric guitar solos and moody horns over skipping beats. The dramatic “Against The Odds” is another stand-out. Race To Achievement is all rugged funk with stabbing chords and strutting horns and it’s probably our favourite side. Of course we have to acknowledge the fantastic “Tense Preparation”, sampled by Prince Paul and Dan The Automator for Handsome Boy Modeling School’s seminal “Magnetizing” with Del Tha Funky Homosapien. 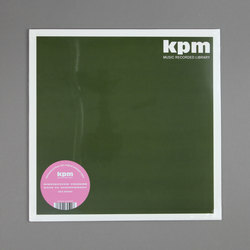 But the whole side’s range from tense underscores to fast and punchy chase themes makes this is a gem of the KPM catalogue. As with all ten re-issues, the audio for Distinctive Themes / Race To Achievement comes from the original analogue tapes and has been remastered for vinyl by Be With regular Simon Francis. We’ve taken the same care with the sleeves, handing the reproduction duties over to Richard Robinson, the current custodian of KPM’s brand identity.